A group of U.S. lawmakers are concerned about this company's ties with China and are worried about it being a threat to U.S.National Security. ZTE? Nope, how about Sprint. Bloomberg obtained a draft copy of a letter that is being passed around in the House for signatures. 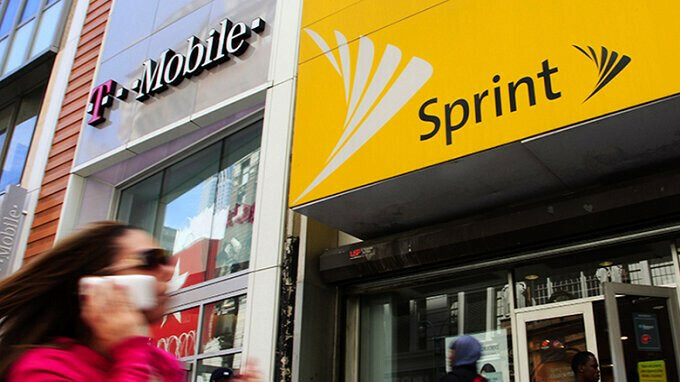 The letter, addressed to Treasury Secretary Steve Mnuchin, requests that the Trump administration look closely at T-Mobile's proposed $26.5 billion merger with Sprint. Mnuchin heads up the national security portion of the government's review of the transaction. So what freaks out these congressmen about Sprint? It has to do with SoftBank, the Japanese conglomerate that owns 80% of Sprint. A78% stake was originally purchased in 2013 as SoftBank and its Chairman and CEO Masayoshi Son, beat out Dish Network for the carrier. Over the subsequent years, SoftBank added slightly to its holdings. If the T-Mobile merger with Sprint goes through, SoftBank will own 27% of the combined carrier (52% will be owned by T-Mobile parent Deutsche Telekom and the remainder will be owned by the public). The draft letter states that SoftBank has ties to Chinese phone and network equipment manufacturer Huawei, which has been deemed a national security threat to the U.S. along with ZTE. The U.S. government was instrumental in getting Verizon and AT&T to change their minds and not carry the Huawei Mate 10 Pro earlier this year. U.S. Military bases cannot sell Huawei branded devices and there is fear that the company's products spy on American consumers and corporations. The Trump administration already played the National Security card to block Broadcom's $117 billion offer to purchase fellow chipmaker Qualcomm. The nation's third and fourth largest wireless carriers have said that their merger is necessary to keep the U.S. at the forefront of next generation 5G connectivity. Last year, Huawei and SoftBank sent out a press release discussing how 5G data speeds can help SoftBank's business partners. In one example, the pair revealed how 5G connectivity could help a company control a robotic arm with ultra-low latency. This was accomplished by having the robotic arm play an air hockey game against a human. The Committee on Foreign Investment in the U.S. (CFIUS), which played a big role in the president's decision to block the Broadcom-Qualcomm deal, will have a huge say in determining if the T-Mobile-Sprint deal gets approved on the basis of national security. The FCC and the DOJ also have to weigh in on the transaction. Agreed. But, the difference that I am seeing in Trumpistan is that one group is Asian while the other group is European. I understand the concern about security threat, but recently these lawmaker are getting paranoid, as if anything that wasn't came from US immediately post a security threat to the nation. At this point, it will be better they stop dealing with any overseas business just to protect their country safety. The lawmakers are not being paranoid. They are hypocrats who like to make up all sorts of artificial threats so that they can start a case and make money. In that case, Motorola is a threat to US Security, as it is owned by Lenovo, a chinese Co. Apple is a threat to US Security as almost all its products are manufactured by Foxconn, a Chinese Co.
Foxconn is not Chinese, they are Taiwanese. Would't that make Sprint by itself a security threat lol. Well Canada, Mexico and the EU have been deemed national security threats so why not throw in Softbank and Japan for good measure? Meanwhile Russia and Putin get a pass from Trump and those spineless slimeballs in congress keep quiet. While I can understand the security worry, what I find ironic is nothing has been said about this being a problem with spring, and china, before now.. So what exactly is the difference if it is a combined sprint / t-mobile, or just sprint. Wouldn't the supposed security risk still be there since they still operate out of the same country? and either way, using the "they are foreign" card is just stupid, as both companies are currently owned by foreign companies, so ownership is not being transferred to foreign countries, because they were not locally owned to start off with. Knowing nothing has been said, nor was there a problem up until now.. This leads me to one question.. Did Verizon or AT&T pay some people off? and if it is only them having ties to Huawei, then just put in the agreement that they have to cut ties to them.